This will be the next big thing … at some point. 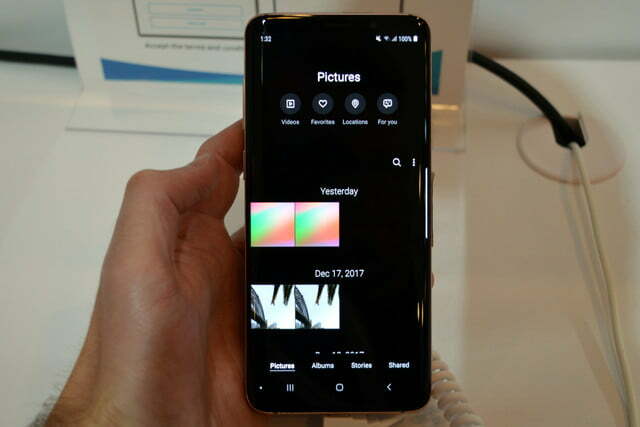 The mobile industry has been tracking this rumored Samsung “Galaxy X” prototype phone for several months, and while we don’t even know if that’s what the phone will actually be called, it’s what the current rumor mill has been spitting out. In any case, here’s what we know and what to look forward to with Samsung’s upcoming foldable smartphone. 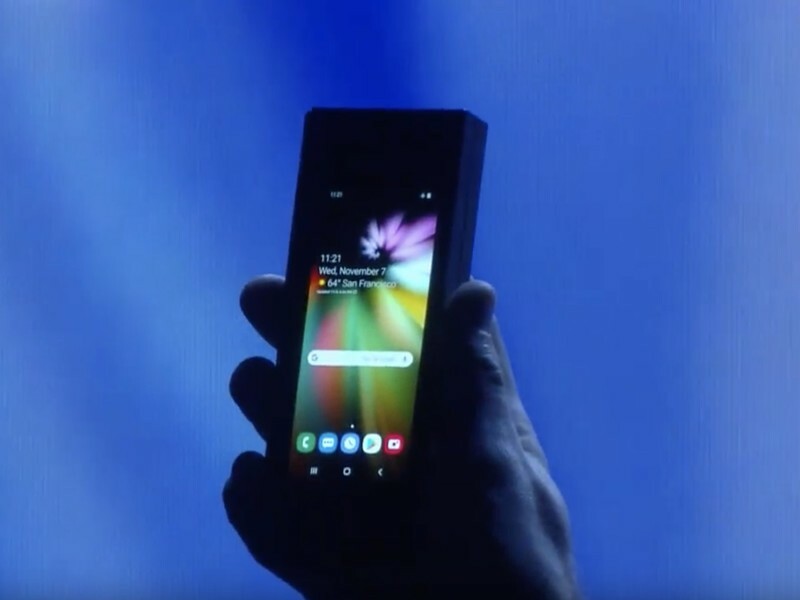 Samsung showed off its foldable phone earlier today, and now the manufacturer has detailed some of the key aspects of the device. As noted by CNET’s Shara Tibken, the Galaxy X has a fold-out design that transforms the phone into a tablet, with the phone part featuring a 21:9 4.58-inch screen with a resolution of 1960 x 840. In tablet mode, the screen extends to 7.3 inches with a ratio of 4.2:3 and a resolution of 2152 x 1352. The pixel density in both modes is 420PPI. Samsung is partnering with Google to create developer guidelines for the “best experience” on foldable devices. In the short-term, Samsung will release an emulator that will let devs test how Android 9 Pie-based apps behave with changing screen sizes. 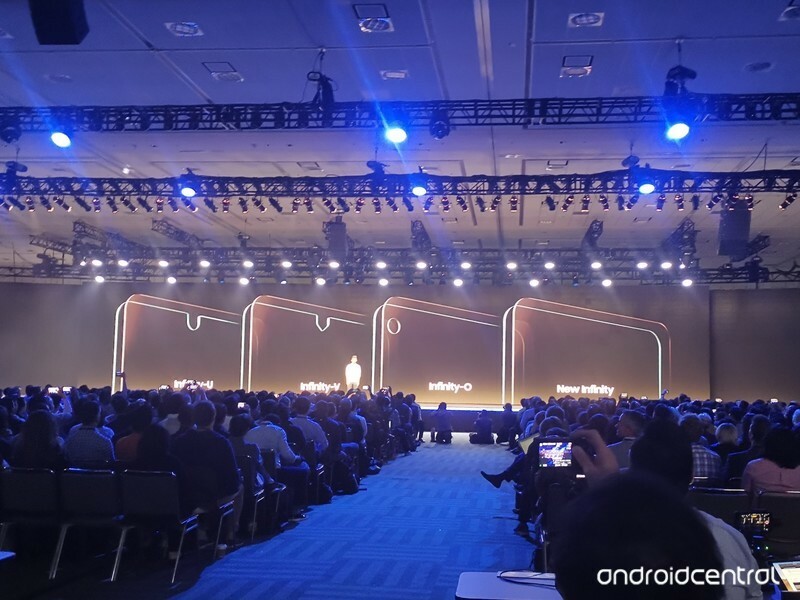 Starting with next year’s Android Q, Google will add support for foldable and multi-screen devices, and there will be an AOSP emulator that will allow for more fine-tuned testing. 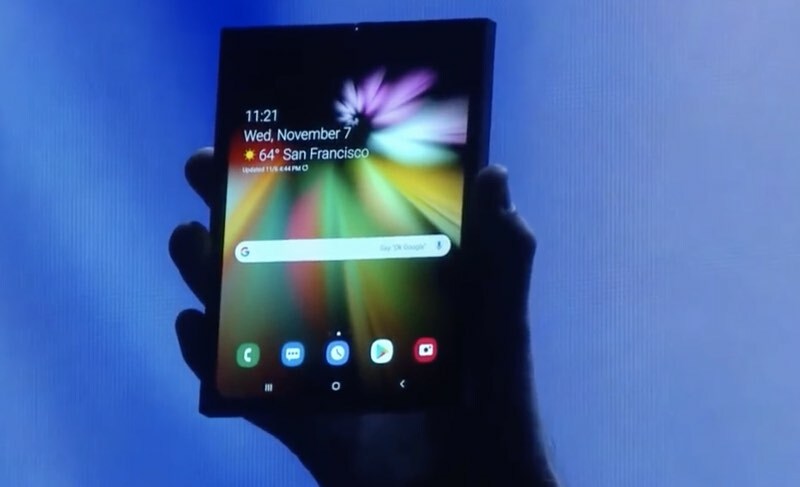 The Samsung Developer Conference 2018 was held today, and while we didn’t get an actual product announcement for a foldable smartphone, we did see a live demo of how the foldable screen tech works. 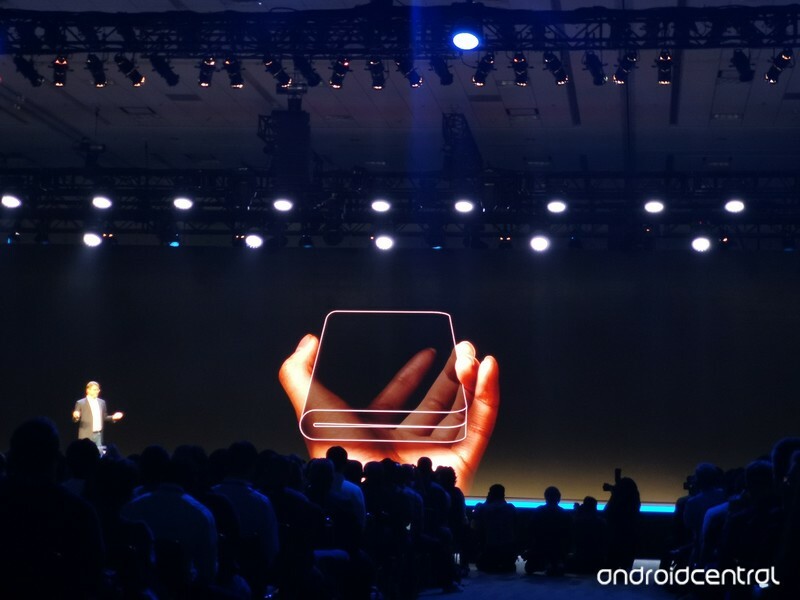 Samsung’s calling its foldable panel “Infinity Flex,” and during the opening keynote, we saw a live demo of a device built with Infinity Flex. The gadget itself was hidden in a large case as to not reveal its actual design, but what we did see is that Infinity Flex has one display on the front, and when opened up, reveals a large 7.3-inch panel that’s not interrupted by any black bars or bezels. Google’s already announced native Android support for foldable devices, and apps will be able to transition seamlessly from both the inside and outside of the display based on what you’re doing. Mass production for Infinity Flex will begin on the coming phones, so while we’ll have to wait a little while longer before we can purchase one ourselves, we’re a heck of a lot closer to the long-awaited Galaxy X than ever before. They did it. They finally did it! 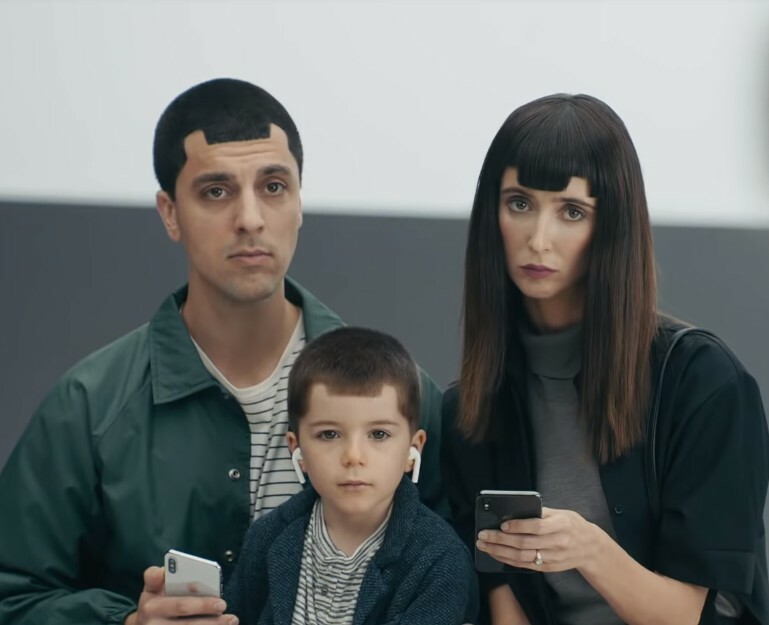 After years of endless back and forth rumors, Samsung’s officially begun marketing for its upcoming foldable phone. 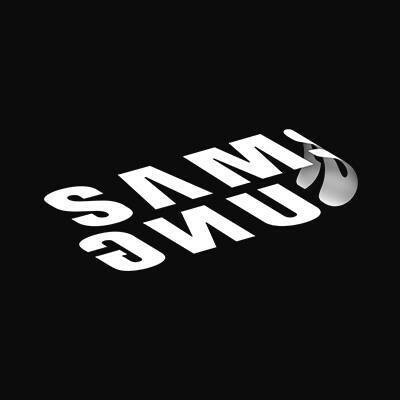 If you take a look at Samsung Mobile’s Facebook and Twitter accounts, you’ll see that the profile picture has been changed to show the Samsung logo folded underneath itself — obviously hinting at the foldable Galaxy X smartphone. It’s still unclear when exactly the Galaxy X will be announced, but a report from late last week claimed we’d learn more about the phone at Samsung’s developer conference that’s taking place on November 7 and 8. The folks at CNET recently had a chance to speak with DJ Koh (Samsung’s head of mobile) about the upcoming Galaxy X, and during their conversation, Koh offered some further details about what we can expect from the upcoming foldable phone. DJ Koh, CEO of Samsung’s mobile business, said you’ll be able to use the device as a tablet with multitasking capability before being able to fold it up into a more portable phone. We’ve been expecting that the Galaxy X will offer more screen real estate compared to traditional phones, so it’ll be interesting to see how close of a tablet experience it really is able to offer. The Galaxy X is still scheduled to arrive at some point before 2018 is over, so stay tuned. While there’s been no doubt that Samsung’s working on a foldable smartphone, one detail we haven’t had a definite answer on is when the thing will be released. That’s now changing, however, as the company’s CEO of its mobile division — DJ Kohn — confirmed to CNBC that a folding phone will launch at some point this year. You can use most of the uses … on foldable status. But when you need to browse or see something, then you may need to unfold it. But even unfolded, what kind of benefit does that give compared to the tablet? If the unfolded experience is the same as the tablet, why would they (consumers) buy it? So every device, every feature, every innovation should have a meaningful message to our end customer. So when the end customer uses it, they think ‘wow, this is the reason Samsung made it’. The screen can be folded in half, like a wallet, these people said. When folded, the exterior of the phone boasts a small display bar on the front and cameras in the back, they added. Furthermore, it’s said that the Galaxy X has a screen that measures in at 7-inches diagonally. As for pricing and availability, WSJ notes that the Galaxy X has “taken on a greater sense of urgency in recent months” and that its price tag could reach well beyond $1,500. The phone’s expected to be released at some point in early 2019. Infinity Flex consists of two different displays — a smaller one on the front that looks like a traditional phone, and when you open it up, there’s a large 7.3-inch panel inside. Unlike other foldable smartphones, the actual display is bending rather than a separate hinge. That means no black bars or bezels covering the display. It’s just one, gorgeous, uninterrupted screen. Users now have the best of both worlds: a compact smartphone that unfolds to reveal a larger immersive display for multitasking and viewing content. The app experience seamlessly transitions from the smaller display to the larger display as the device unfolds. Also, users can browse, watch, connect and multitask without losing a beat, simultaneously using three active apps on the larger display. The device seen in the pictures above is likely what we’ve been referring to as the “Galaxy X,” but that large, chunky body isn’t what it looks like. It’s simply a dummy case to hide what the phone’s real design, but the function of the foldable panel will work the same come launch time. Just before Samsung’s conference, Google officially announced support for foldable smartphones. With this native support, apps will be able to adjust and rearrange themselves based on whether they’re being used on the smaller display or the larger, folded-out one. Google’s referring to this process as “screen continuity” and is best to be thought of as an evolution of how elements on your screen move around when you go from portrait to landscape mode. If you were hoping to rush out and buy Samsung’s foldable phone soon, you’re unfortunately going to have to wait a little while longer. Samsung says that it’ll begin mass production of its Infinity Flex displays within the coming months, meaning we’re looking at a release at some point in 2019. We currently don’t have anything more specific than that, and while the price is unknown, don’t expect it to be cheap. What do you get when you mix human urine, loose sand, and bacteria? 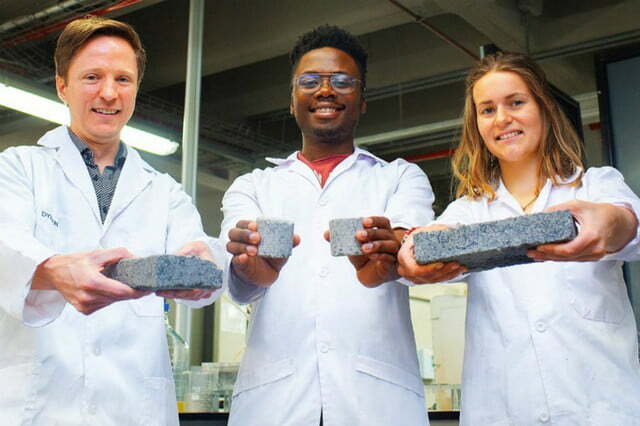 The answer is urine-based bio-bricks: A more environmentally friendly substitute for kiln-fired bricks, according to researchers at the University of Cape Town (UCT). Civil engineering master’s degree student Suzanne Lambert recently unveiled the newly formulated bricks. Similar to seashell formation, the bio-bricks result from a process called microbial carbonate precipitation. When loose sand mixes with certain bacteria, the bacteria colonize and produce the enzyme urease. In the next step, urease breaks down the urea in urine. The same chemical reaction creates calcium carbonate, which binds or cements the sand mixture. The binding sand takes on the shape of the area, container, or mold in which it occurs. Lambert worked with fellow student Vukheta Mukhari and UCT senior lecturer in water quality engineering Dr. Dyllon Randall experimenting with various mold shapes and tensile, or binding, strengths. The goal was to create an innovative and environmentally friendly building material. Creating the pee-bricks checks the boxes for environmental concerns. Kiln-fired regular bricks cook at 2,552 degrees Fahrenheit, which uses massive quantities of fuel and releases prodigious amounts of carbon dioxide. Bio-bricks, on the other hand, harden in molds at normal room temperatures. 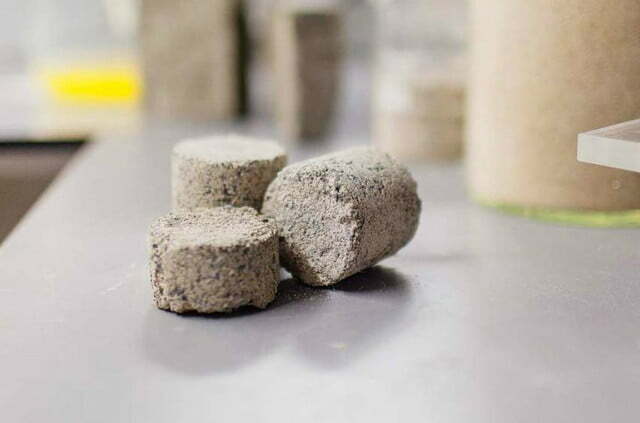 It’s also simple to produce bio-bricks of different strengths, depending on their intended use. “If a client wanted a brick stronger than a 40% limestone brick, you would allow the bacteria to make the solid stronger by ‘growing’ it for longer,” Randall said. 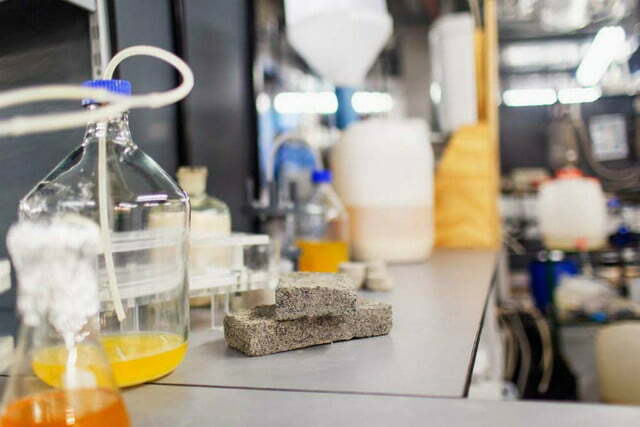 According to the UCT team, Lambert’s bio-bricks are the first time human urine has been used to make bricks, although earlier testing with urea took place in the U.S. with non-human urine. While making bio-bricks, microbial carbonate precipitation also produces nitrogen and potassium as valuable by-products. Large-scale human urine collection and transportation, plus human social acceptance, are significant logistical considerations in forwarding the bio-brick cause. 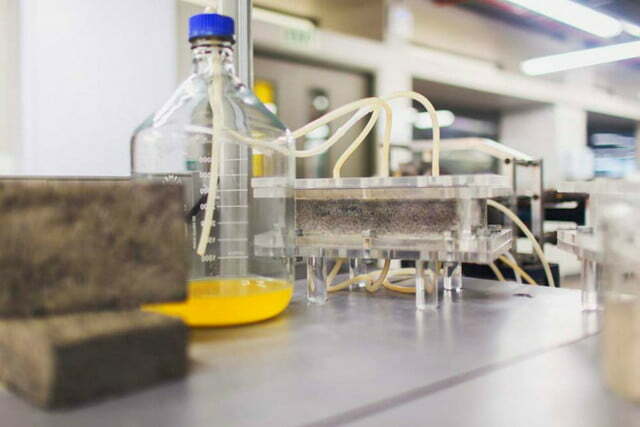 The UCT students are optimistic about the urine-based building material’s future. “This project has been a huge part of my life for the past year and a half, and I see so much potential for the process’s application in the real world. I can’t wait for when the world is ready for it,” Lambert said. Oddly enough, this isn’t the first urine-based technology we’ve ever seen. 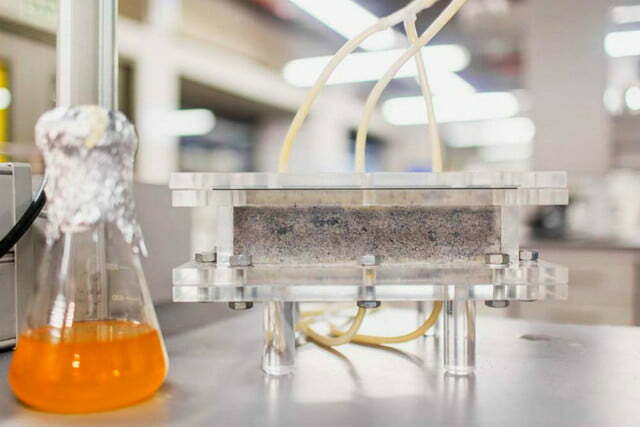 Last year, Stanford University researchers showcased super efficient batteries powered by a urine by-product. 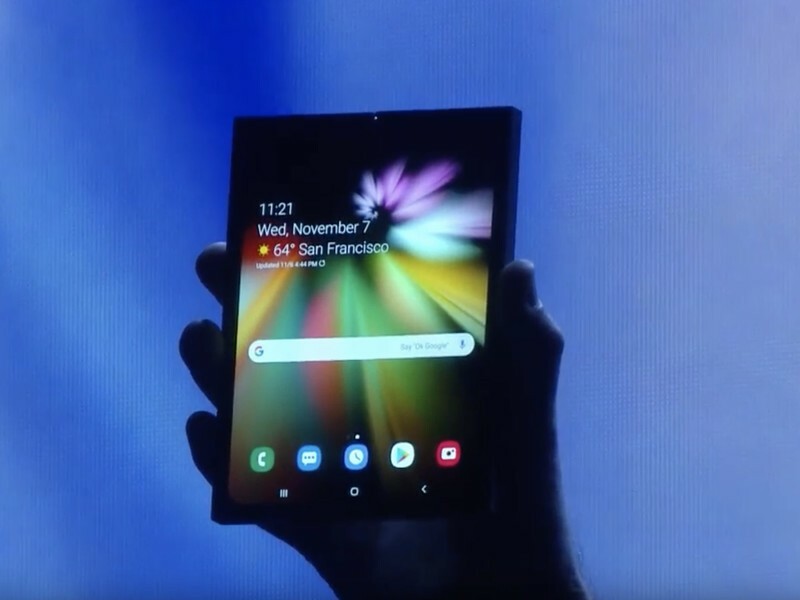 Details about Samsung’s upcoming foldable phone may have stolen the show at the Samsung Developer Conference keynote, but Samsung had some other news to show off. Namely, the company took the wraps off of a new Android skin for its phones going forward. The new skin is called One UI and apart from the sweet visual aspects it has on offer, it could make using your phone that little bit easier. 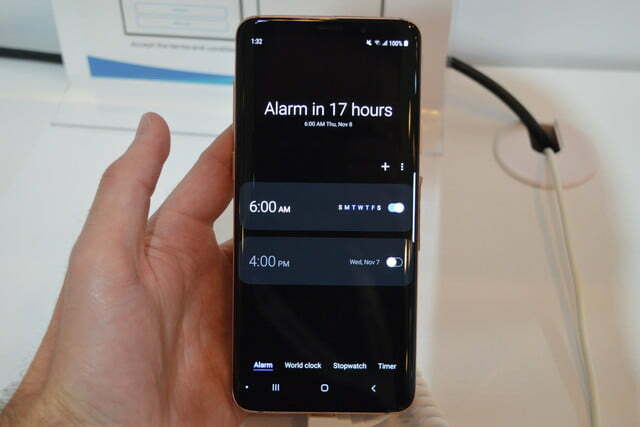 We were able to check out One UI for ourselves at the Samsung Developer Conference, and can confirm that the overall experience seemed very clean and stripped back. It’s not quite on the same level as stock Android — it still has Samsung apps and services — but compared to Samsung Experience, it’s much more basic, which is a good thing. In One UI, Samsung seems to be prioritizing being able to use your phone with one hand. Most of Samsung’s apps had the majority of their controls at the bottom of the user interface, with other information — that you might not want or need to interact with — being found at the top. For example, when you open the Settings app, the top third of the interface simply says “Settings,” and offers a small button to activate search in the app. Scroll down, and the app will start to use that space — but the advantage is that it’s easy to tap a menu item with one hand. Other apps featured a similar layout, including the Clock app and Photos app. We also saw a new “Dark Mode,” which gives apps a black background to make it easier to read elements on the screen in the dark without straining your eyes. 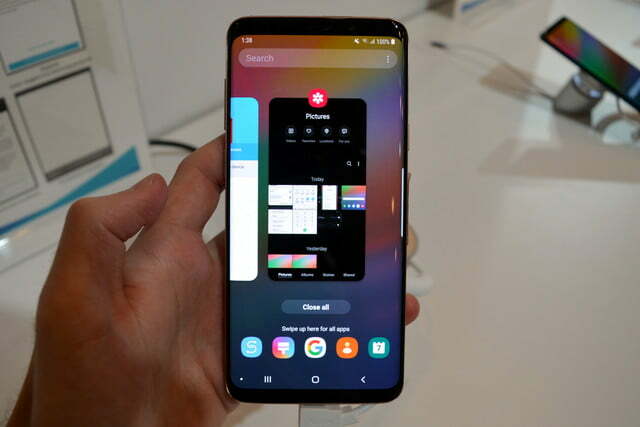 Speaking of background colors, Samsung is also making the experience between software and hardware a little more uniform by color-matching aspects of the interface with the color of the phone itself. So, for example, if you buy a purple phone, you’ll find different purple user interface elements too. Other changes to the software are less subtle. For example, in the Messages app the app will be split into two sections — a preview section and an “interaction area.” With these two sections, you’ll be able to select what messages you want to read, which will appear in the viewing area without opening a new screen. While initially it wasn’t quite clear, Samsung confirmed to us that One UI is indeed aimed at being the successor to Samsung Experience, which is itself the successor to TouchWiz. It’s clear that Samsung has put a lot of work into creating a clean interface since the days of TouchWiz. 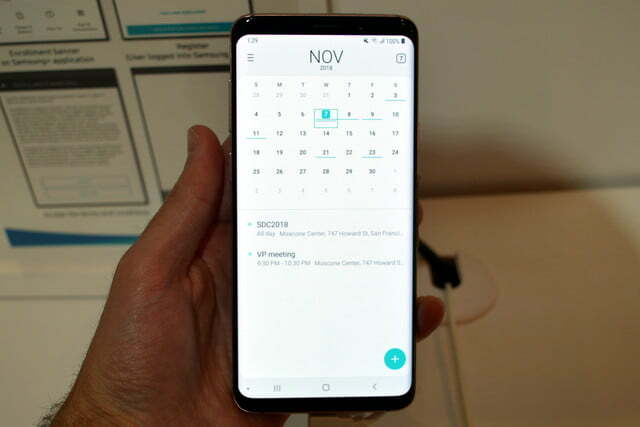 Samsung’s One UI will be available to the Galaxy S9, S9 Plus, and Note 9 in early January, and will presumably show up in Samsung’s other phones going forward. 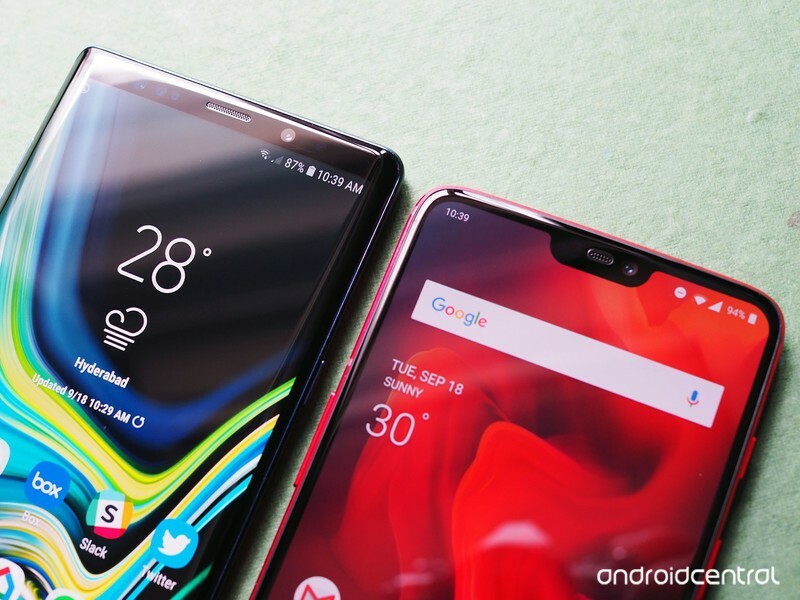 OnePlus 6T vs. Galaxy S9: Can the Flagship Killer claim another victim? If you’re a gamer who depends on Nvidia for graphics, then G-Sync is probably high on your priority list. This monitor technology includes a specialized chip that helps the monitor get in sync with your Nvidia video card. It ensures a smoother image for your gaming experience, and once you’ve tried it, you won’t want to game without it. So, if you’re looking for a new gaming monitor, G-Sync is important — and it’s something you should know about if you’re buying a monitor for a gamer friend, too. That’s why we’ve collected the top G-Sync monitors on the market for you to check out. Note we chose the 3,840 x 2,160 resolution model for this Predator, an ideal feature for serious gamers who want the best graphics. However, there are many different versions of the Predator monitor, allowing you to customize resolution and screen size. If you don’t mind spending a bit more for a high-quality display, this 27-inch ROG Swift model is one of the priciest on our list, but also one of the top displays available. It provides a WQHD IPS screen with a native 165Hz refresh rate and LED backlighting. Built-in software includes flicker free and blue light filter options. The Swift models also have excellent tilt, swivel, pivot, height and mounting options. Both HDMI and DisplayPort ports are available. The ROG Swifts come in a variety of sizes and resolutions, but again we think that this model offers the best possible result for general use and gaming. Dell’s 24-inch model is a reliable G-Sync monitor that sacrifices a bit of screen space for a low price (you can upgrade to the 27-inch model for around $100 more, although at this point we suggest going with a Predator or ROG model instead). The screen includes top-notch stats, included QHD 2, 560 x 1,440 resolution, a 165Hz refresh rate, and a 1ms response time — with flicker free tech included. Alienware’s 25-inch full HD monitor includes a native refresh rate of 240Hz, a 1ms response time, and a design that’s a lot more adjustable than it looks, with the traditional tilt, pivot, swivel and height options still firmly in place. Ports include DP1.2, audio out options, USB 3.0, and HDMI, but no DisplayPort. There’s also a couple Alienware-specific features that you might be interested in. AlienFX is included, along with some extra LEDs that you can program to your heart’s content, and a dynamic on-screen display lets you quickly switch between preset gaming modes or make easy settings/multi-monitor changes. Are you the sort of gamer looking for an ultrawide model instead? As you probably know, ultrawide models are excellent for immersion and have great compatibility with racing games, shooters that support wider aspect ratios, and other games where field of vision is important and there’s a lot of scenery to show off. The curved nature of this 35-inch Predator model is also effective at this, giving you more immersion and maybe even saving a little desk space at the same time. The monitor offers full HD resolution, a 144z refresh rate via DisplayPort (60Hz via HDMI). Overclocking options are available to around 200Hz if you like to tinker. There are also five USB 3.0 port for your accessories. There’s even some ambient lighting at the edges of the monitor if you want extra light or just think it looks cool. This model is available in a number of sizes, but the 35-inch is the largest available, and the most bang for your buck. New ‘Infinity’ displays with cutouts are here, and they’re probably coming to Samsung’s own phones in 2019. Display notches are definitely “a thing” in modern smartphones, particularly at the high end. If you’re looking to buy a new phone, it’s probably going to have some sort of display notch — tall, short, wide, narrow, curved or angular … it’ll be there. 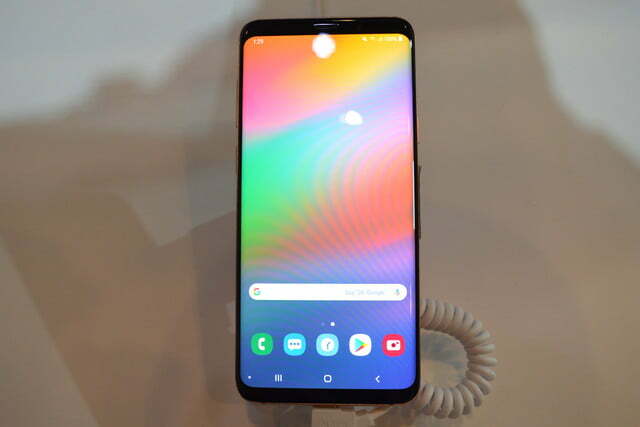 That is, unless you buy a Samsung phone; the company has been staunchly anti-notch, sticking with the virtues of its curved “infinity display” as the rest of the industry pushed the bezels to their limits and took the notch as a compromise. Samsung’s advertising leans heavily on the fact that its displays are curved, immersive and decidedly notch-free. And it works. I’ve heard from countless Samsung fans that have stuck with the brand purely because its phones don’t have a notch (yes, people care about it that much). Now, it looks like that’s going to change. We’re all hyped about foldable phones, but Samsung just announced three new ‘Infinity’ branded displays with cutouts. Samsung’s SDC 2018 keynote was filled with hype for foldable displays, as we got to see a prototype of its forthcoming foldable phone, the Galaxy X (or whatever it will be called officially). 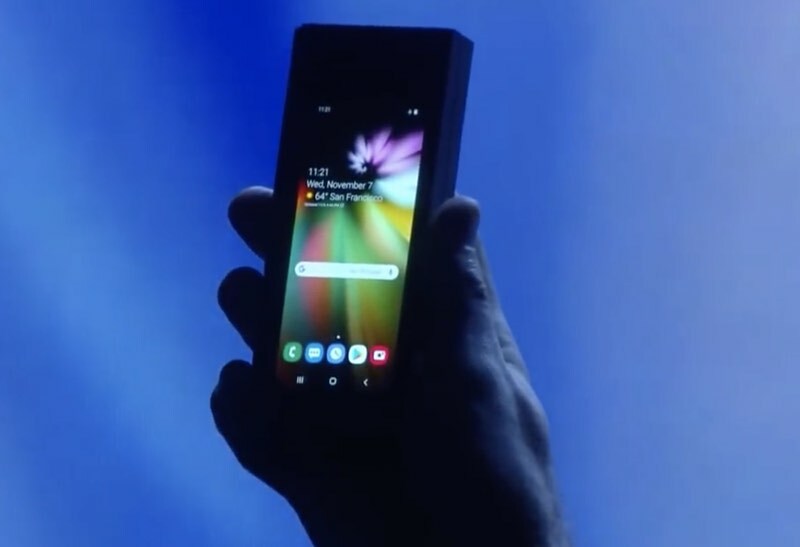 Funnily enough the foldable phone doesn’t have a notch, as it seems to have considerable bezels to hold all of the necessary sensors, but alongside the announcement of the “Infinity Flex” display technology, Samsung has other new standard-looking displays to show off: Infinity-U, Infinity-V, Infinity-O and New Infinity. The first three of which sport a display notch or cutout, either in a standard style (in the case of the V and U) or in a hole-punch style circle (O) with the display flowing around it. Ostensibly these new designs are up for sale for phone manufacturers of all kinds to use, just like the new Infinity Flex display and dozens of different iterations of great OLED display tech from the company up to this point. But it’s also a bit of a peek into what Samsung’s developing for use with its own phones going forward. Samsung’s display division has been making display panels with notches for years now, but hasn’t necessarily advertised it to the public. With the three new designs that have display cutouts, branded with “Infinity Display” just like its current Galaxy S9 and Galaxy Note 9, it’s a strong sign that Samsung will cave into the trend of launching a phone with a notch very soon. After incessantly mocking phones with display notches, Samsung just announced new ‘Infinity’ displays with notches. That’s bad news for all of the Samsung fans that have held onto the company’s phones specifically because they didn’t fall to the market pressure and use a notch. But the reality is that this is where smartphones are headed, at least in the short term, until supporting technology to hide things like cameras and sensors fully behind the display — or elsewhere on the side of the phone — gets to the level of not having notable compromises. Samsung, having provided millions of these displays to other companies already, knows the trend and is surely developing its own phones with the new displays. The only possible wiggle room here, which will keep notch haters’ hopes alive, is that fourth display shown off at SDC in the image above: the “New Infinity” display. That’s the next generation of Samsung’s current flagship display, and it doesn’t have a notch. That new display presumably sticks with the tightly-curved sides and pairs it with even smaller bezels all the way around, which really is the best possible situation — even if you’re neutral on the whole notch thing, you’d surely prefer to not have one if you had the choice. These new U, V and O displays are certainly for sale to third parties, but could also make their way into only Samsung’s mid-range lineup, like the Galaxy A series, while leaving the Galaxy S10 and Note 10 to stick with New Infinity displays as a point of differentiation from the notch-laden crowd. And that sure would behoove Samsung, which has incessantly mocked other companies for shipping phones with display notches. It has run several high-profile ad campaigns pointing out the downsides of display notches (particularly on Apple phones and how much better the Galaxy line of phones is because it has a full edge-to-edge “Infinity” display. To go back on that just a year later would surely look hypocritical, particularly if it were to do so in its highest-end devices, and alienate a vocal (albeit likely not large) group of fans that stood by Samsung’s decision to skip the notch. But that’s still speculation at this point, and it’s worth betting that at least one Samsung phone will be launched in 2019 with a display notch. 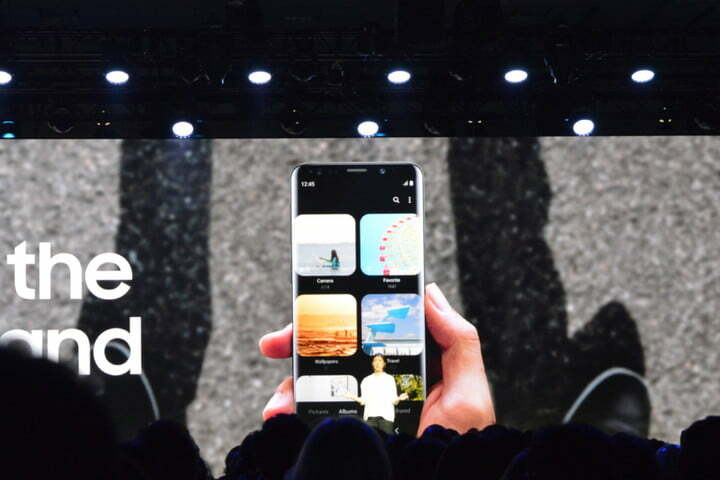 The question is whether Samsung can bring itself to do so in the flagship Galaxy S10, the face of the company for tens of millions of people, or if it will listen to its own advertising and keep selling Galaxy S phones without a display notch. Amazon is offering a 16-pack of Command Outdoor Light Clips for just $20 when you clip the 20% off coupon. You’ll save $6 on your purchase using said clippable coupon. That coupon actually applies to quite a few discounted Command products, but you can only use it once, so be sure to choose what works best for you. These clips are specifically designed to be used outdoors. You only need one clip for every two feet of lights, too, so 16 should be enough for all of your holiday decorations. 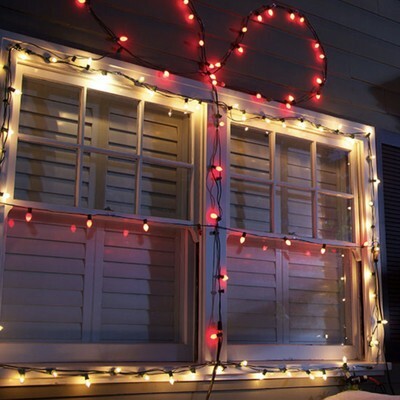 You can use the light clips for outdoor patio lights and things of that nature as well. The clips will stay put until you remove them, and when that time arrives, they’ll come off easily and leave no residue behind. 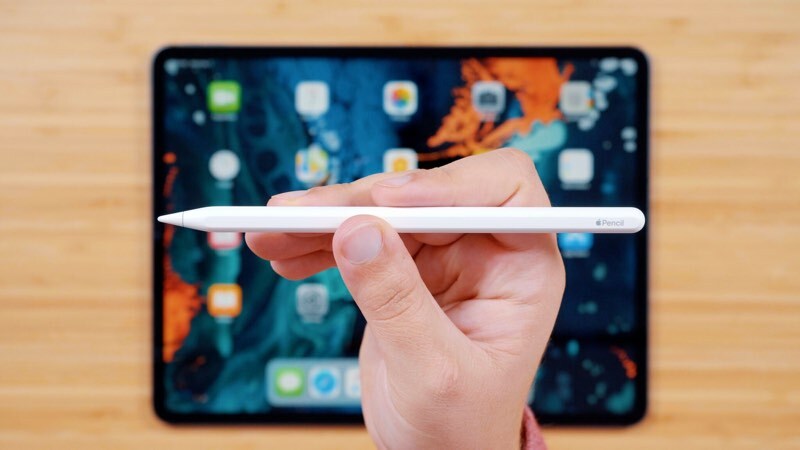 Today is the official launch day for the 11 and 12.9-inch iPad Pro models, and we got our hands on one of the new larger versions along with a Smart Keyboard Folio and an Apple Pencil 2, the new accessories that go along with the updated tablet. Check out our latest YouTube video for an unboxing and feature overview of the new device, which has been radically overhauled compared to the previous-generation model. 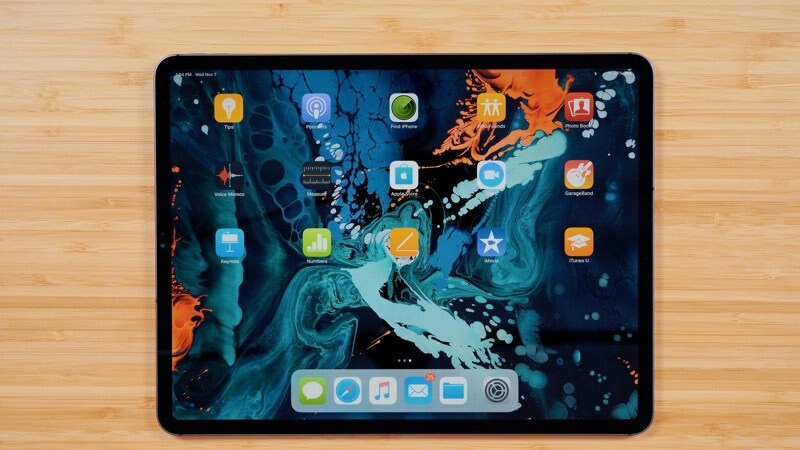 Apple’s new iPad Pro models feature an entirely new design with a near edge-to-edge display that replaces the Touch ID Home button with a TrueDepth camera system and Face ID for authentication purposes. The all-screen design is, unsurprisingly, gorgeous, especially when paired with True Tone, ProMotion for 120Hz refresh, and wide color support for vivid, true-to-life colors. Design wise, the iPad Pro models no longer use smooth, rounded edges that taper into the back of the tablet, instead featuring a flat, more industrial band around the sides that’s reminiscent of the iPhone 5. 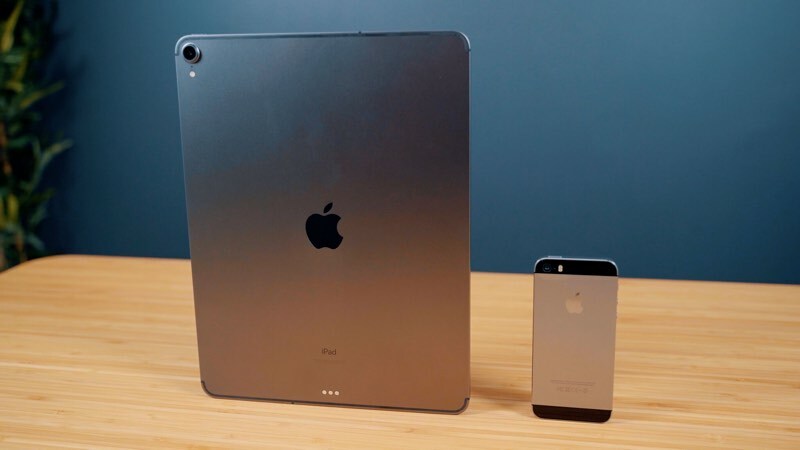 The 11-inch model is the same size as the 10.5-inch model just with a bigger display, but for the 12.9-inch model, Apple kept the 12.9-inch display and shrunk the body size, so it’s smaller and more compact, and easier to hold. There’s a new USB-C port that replaces the Lightning port, so you can plug in all manner of things, like 4K displays, cameras, and even your iPhone. Over USB-C, the iPhone can charge from the iPad Pro, much like it would from a Mac. Face ID on the new iPad Pro works great, and unlike the iPhone, it can unlock the iPad in either portrait or landscape orientation. You need to be careful not to cover up the sensor with a hand when using it in landscape mode, but it’s otherwise pretty flawless. The A12X in the iPad Pro is super speedy and faster than many notebooks on the market, but there’s one thing to be aware of. All 64, 256, and 512GB iPad Pro models feature 4GB RAM, while the 1TB models have 6GB. It’s not yet entirely clear why the higher-capacity models have more RAM, but it’s worth noting if you’re aiming for maximum performance. Apple designed two accessories to go with the iPad Pro: the Apple Pencil 2 and the Smart Keyboard Folio. If you like to sketch and draw, the Apple Pencil 2 is a must have. It’s smaller than the original and it charges and syncs when you connect it to the iPad Pro using magnets. 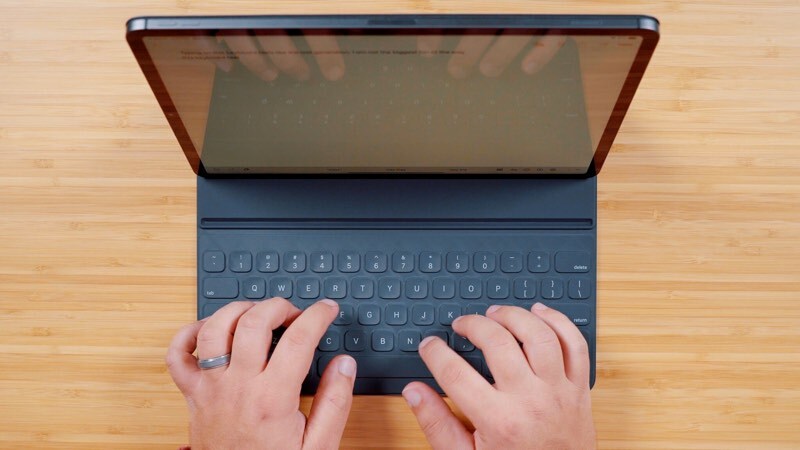 The Smart Keyboard Folio feels similar to the previous-generation Smart Keyboard with the same general key feel, but the folio style is nice because it offers all-around device protection. The 12.9-inch iPad Pro isn’t going to be for everyone because of its size, but it offers maximum display for making art, gaming, and other purposes. 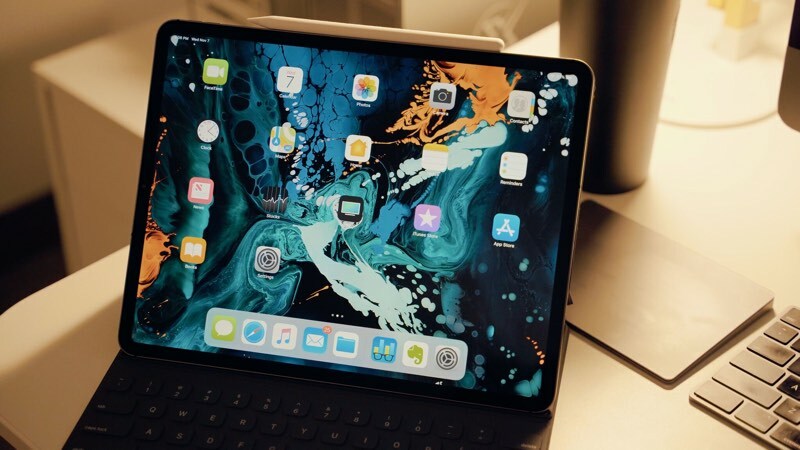 For those who think the 12.9-inch model is just a bit too big, the 11-inch iPad Pro is a great compromise, offering a lot more screen real estate than the previous 10.5-inch model. Unfortunately, neither of these two new iPads is cheap, which is the biggest negative. The 11-inch model starts at $799 for the 64GB version, while the 64GB 12.9-inch model starts at $999. Did you get a new 2018 iPad Pro? Let us know what you think in the comments. At its 2018 Developer Conference, Samsung today showed off its new foldable display technology, called Infinity Flex. Samsung is using the Infinity Flex technology for a device that features 7.3-inch flexible display that can be folded in half. While in full screen mode, the device is meant to be used as a tablet, and when folded in half, it functions as a smartphone. Today is a big milestone and I’m sure you’re all wondering what it looks like in real life and how it works. Wonder no more. When it’s open, it’s a tablet, offering a big screen experience. It’s gorgeous. When it’s closed, it’s a phone that fits neatly inside your pocket. Samsung says that that to design the Infinity Flex technology, it had to invent new materials and reimagine the display from the ground up. The company developed an advanced composite polymer that’s “flexible and tough” to replace the glass that’s usually used as a display cover in smartphones. Samsung also developed a flexible, malleable adhesive that’s durable enough to withstand hundreds of thousands of folds, and to make the display thinner than ever, Samsung created a new ultra thin polarizer that’s 45 percent thinner than the technology used in its current displays. A new software platform is being developed in partnership with Google that supports two UIs, one when the device is open and one when it’s closed. Features like app continuity will allow for a seamless experience by keeping an app open when swapping displays, and up to three apps can be run at the same time. In the future, Samsung also plans to introduce new display technology that includes rollable and stretchable displays. Getting to space is hard. Really hard, in fact. There’s just not a lot of room for error. For every space flight that’s ever gone smoothly, there are dozens of botched missions that remind us how fine the line is between success and failure. To make things worse, when things do go wrong with a rocket launch, it usually doesn’t end pretty. Catastrophic crashes and violet explosions are common, and unfortunately so is the loss of lives. We’ve combed through space flight history and found some of the most massive rocket crashes ever caught on film. In 1957, the space race was beginning and the US and Russia were in a race to be the first to make headway into this new frontier. After Russia launched its first satellite in October 1957, the US was poised to deploy its first satellite a few months later. Unfortunately, this much-hyped launch failed before it went airborne. The Air Force’s Titan rocket was a staple of the US space program from 1959 to 2005, but its early flights were rocky. This test launch of theTitan 1 rocket exploded a mere 4 seconds after engine ignition and engulfed the launch pad in a giant fireball. Thankfully, there were no injuries from the explosion. NASA’s Space Shuttle Challenger was on its 10th flight when it exploded 73 seconds into its flight. More than 17 percent of Americans, many of them schoolchildren, saw the explosion live because of Christa McAuliffe, who would have been the first teacher in space. The disaster was the result of failing O-rings that were not designed for the cold conditions present on that particular day. The beginning of 1986 was rough for the US space program. The year opened with the devastating loss of the Space Shuttle Challenger. Then in April, the Titan 34D exploded in one of the worst space launch disasters at the time. A few seconds after launch, the rocket, and its KH-9 spy satellite payload, burst into flames and showered the launch complex with fiery debris and toxic propellant. Instead of O-rings, this failure was the result of weak joints that held the booster rocket segments together. The US is not the only country with explosive rocket crashes. China has had its fair share, including the devastating Long March rocket, which exploded over Sichuan, China and killed hundreds of people. Shortly after launch, the rocket veered off course because of an error in the guidance system. The fuel-laden rocket then headed directly towards a nearby village. The recorded video shows not only the crash but the devastating aftermath. The Air Force had big plans when it launched an uncrewed Delta II rocket on January 17, 1997. The $55 million rocket was carrying a $40 million GPS-II navigational satellite, one of the first of the second generation GPS satellites to be deployed. Unfortunately, the rocket and its payload exploded 13 seconds after liftoff. The Titan IV rocket was the last Titan model used by the Air Force before the rocket series was officially retired in 2005. One of the worst accidents involving this model happened on August 12, 1998, during the launch of a Mercury spy satellite. Shortly after takeoff, the Titan IV exploded in a giant fireball that destroyed both the rocket and its sensitive military payload. The total financial loss from the failed mission exceeded $1 billion. Russia’s proton rocket was slated to carry three satellites for the GLONASS navigation system, but the rocket and its payload never made it to their destination. Seconds after takeoff, the rocket veered in one direction and then turned in the opposite direction before finally plummeting back to earth. Orbital Sciences Corporation was ready to debut their new version of their Antares rocket, the Antares 130, but the launch did not proceed as planned. Within seconds of liftoff, the rocket and its payload burst into flames and caused a massive explosion when it hit the ground. The Antares 130 was carrying the Cygnus CRS-3 uncrewed spacecraft and supplies for astronauts on the International Space Station. The crash was attributed to Orbital’s use of refurbished Soviet engines that were built in the 1970s. A manufacturing flaw in the engine and poor long-term storage were contributing factors in the crash. Interstellar Technologies is Japan’s version of SpaceX. It is the first private company to launch a rocket in Japan and hopes to become the first Japanese company to launch a rocket into space. The company’s first two launches haven’t fared so well The first suborbital rocket, the MOMO-1, failed 66 seconds after launch, while the second rocket, the MOMO-2, crashed violently four-seconds after launch. Despite these setbacks, the company is earnestly working on the future MOMO-3and a new orbital rocket. SpaceX has had a singular focus since it was founded in 2002. The company has dedicated itself to reducing space transportation costs by developing reusable rockets. This development process has had its fair share of ups and downs. Never one to take things too seriously, Space X founder Elon Musk released this short compilation of the company’s most dramatic crashes.